Since you have yet to master the Flow of Portuguese, it is inevitable that you will make mistakes in your pronunciation. It is important that you do not practice singing songs incorrectly, or else you will build bad speaking and hearing habits. To ensure that your pronunciation is 100% correct, you will have your pronunciation reviewed at the end of each lesson. After you have memorized the song lyrics of a lesson, you will record yourself singing or chanting those lyrics then submit them to The Mimic Method DropBox on the audio-hosting website: SoundCloud.com. You will then receive precise feedback on each mispronounced syllable. 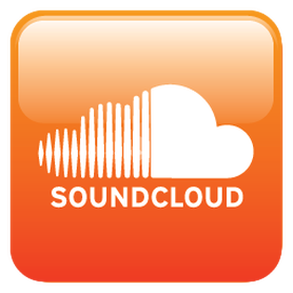 SoundCloud allows for comments to be inserted directly on the track. With this feature, you can easily pinpoint the mispronounced syllables on your audio submission and listen to your mistake as you read the feedback on how to fix them. Fortunately, you will commit the same set of errors when speaking. As you will review in The Sound System Primer, there are certain mispronunciation tendencies English speakers have when speaking Portuguese. With this feedback, you can identify your own tendencies and work to completely eliminate them from your own Portuguese. Having already memorized the lyrics, it will not be difficult for you to go back and correct a few syllables. Once you have finished this page, you may move on to the next page - Mimic & Meaning.